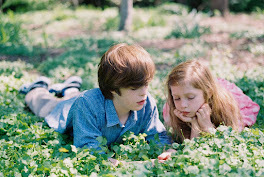 I've pureed, chopped, diced and skewered countless vegetables and fruits in hopes that Noah would not turn up his nose. I've paired them with condiments. Read about our debacle with ranch dressing here or my ideas for how George Lucas could help my cause by expanding his merchandising into sauces and seasonings here. I've tried dressing up their names to make them more appealing...green beans were really just green french fries. 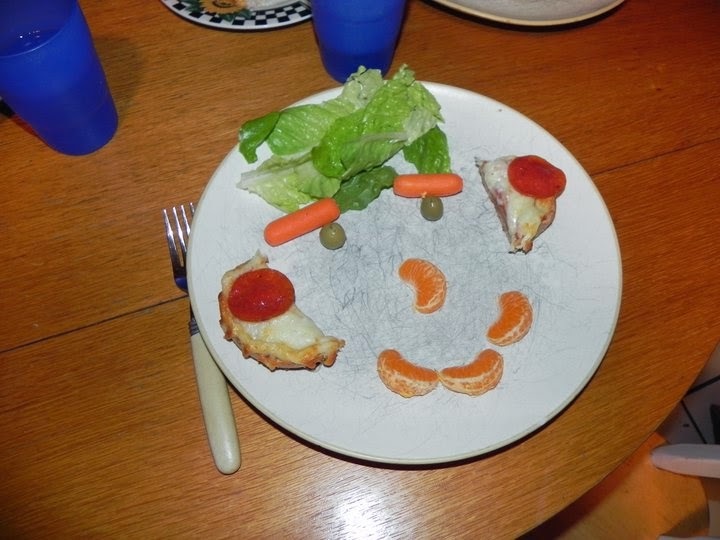 There was even a period of time when I regularly transformed the kids' plates into comical characters made from a medley of foods with carrot eyebrows, grape smiles, and red pepper noses. Initially, my surprise tactics worked somewhat. Noah allowed the items on his plate without protest, but very little of my efforts actually ever made it past his gums. After awhile I gave up the fight and decided I could live with him only eating a couple choice fruits and no vegetables. Then, Natalie brought home a book from the library called "Grandpa's Cloudy With a Chance of Meatballs Cookbook" by Judi Barrett. As she perused the book she got excited when she came upon a recipe featuring meatballs shaped like cubes. "Mom! I bet Noah would eat these because they are like Minecraft," shared Natalie. Hmmm...what if I transformed an entire meal that represented his love for all that is cubed. Natalie was super excited too and got right to work creating signage. She's all about the presentation. Go figure. All in all the meal was a success...Noah tried and liked "slimeballs"...a.k.a green grapes. And, Natalie my meatless wonder, enjoyed not one, but three beef cubes.